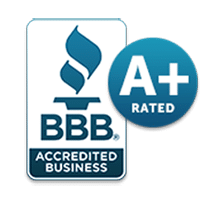 If you’re looking for top quality customer service from an honest, reliable, and skilled plumbing company in Mesquite Texas or any of it’s surround cities, call on Flow Plumbing at 214-388-8838. Flow Plumbing is rated 4.2 out of 5 based on 56 reviews from around the Web. I greatly appreciated the fact that the technicians explained each and every step to me and that they were courteous and efficient. Amazing plumbers!!! But we heard that Flow Plumbing was the best and they were. Super friendly and helpful office staff too. Toni is the best customer service rep I have spoken with in years. Thank you Flow! After using several companies before and feeling like we were getting the run around, Flow Plumbing came in and was able to identify the problem, quote out the repairs, explain the repair process, and even helped brainstorm downtime contingency plans! The work was done in a timely fashion and the cleanup was excellent. Very professional in all respects. Flow Plumbing is excellent with customer service and communication! Toni in the office is fantastic and super friendly! I recommend! 5 stars! The servicemen were professional and knowledgeable. I was very pleased with the work and the price! Professional! Plumber arrived as scheduled and completed the work promptly. The guys at Flow Plumbing were fantastic. Highly recommend them. Great company! Friendly and courteous! They went above and beyond for our plumbing needs. They did excellent work and were very helpful. Their expertise helped immensely to find the leaks in the plumbing. They were there on time and the charges were very reasonable. Everything you look for when trying to choose a plumbing company: prompt, professional, clean, & knowledgeable, ,keeping you informed every step of the way. Great attitude. Can't say enough good things about Flow Plumbing. Great work ethic. They did the job efficiently, timely and did good work. I am pleased with Flow's service. If you are in need of plumbing service in the Greater DFW area, give us a call today. Quick and Reliable Service Provided 5 Days a Week.